Fresh pineapple adds a tropical taste to many dishes and can be eaten alone for a nutritious treat. If you need crushed pineapple for a recipe, or prefer to eat it crushed as opposed to chunks, you can crush it right in your kitchen. If using fresh pineapple in recipes, be aware that fresh pineapple contains enzymes that will break up gelatin proteins. Pineapple that has already been cooked does not have the same effect, as its enzyme has been denatured. 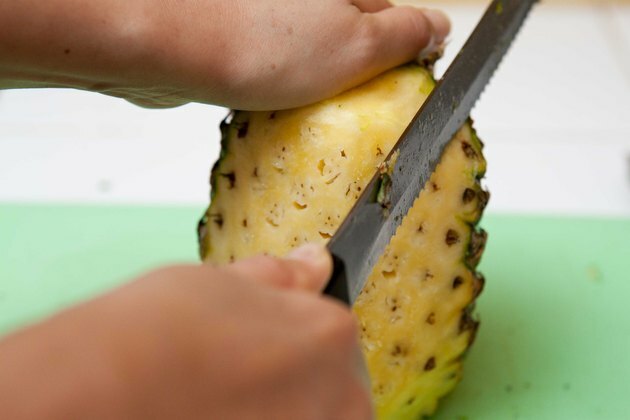 Take the serrated knife and slice off the top and the bottom of the pineapple, making it flat on both ends. 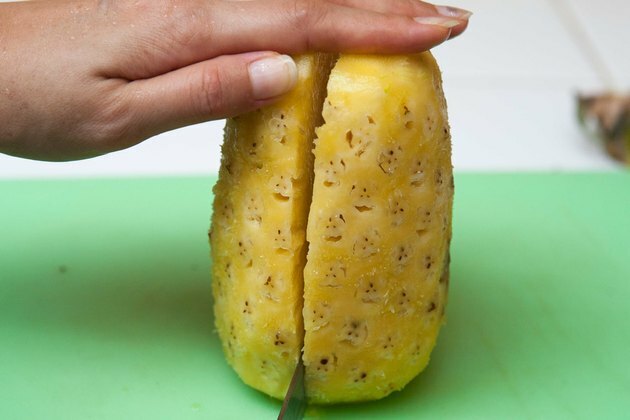 Slice down the sides of the pineapple, just underneath the skin, until you have removed the outer peel. 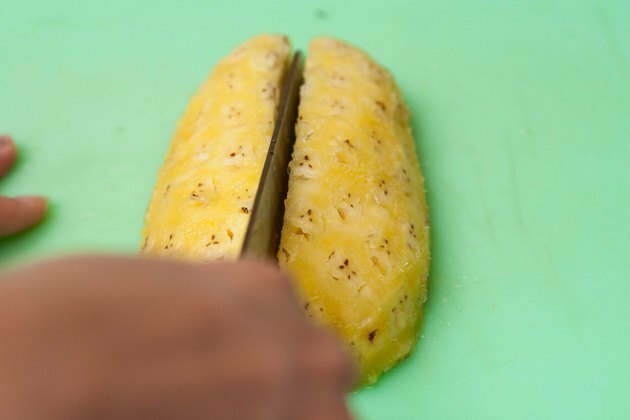 Cut straight down through the center of the pineapple core, separating it into two equal pieces. Lay the pieces flat on the cutting board. Cut the halves into half again, so you have four quarters of pineapple. Take the knife and slice out the narrow inside edge where the piece of the core remains. Do this with all four pieces. Discard the core pieces. 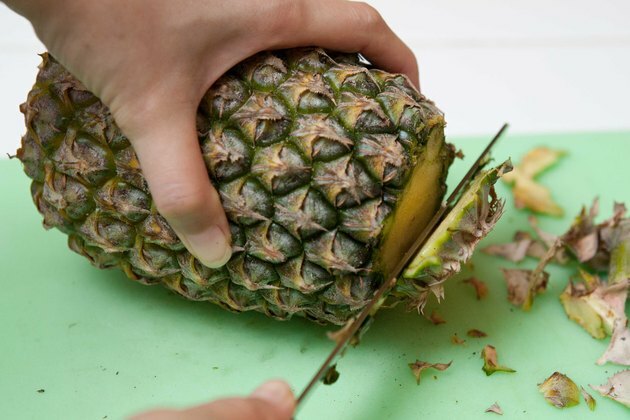 Chop the fresh pineapple into chunks. Between 1- and 2-inch pieces should suffice. If you make the chunks any smaller your crushed pineapple may be too runny. Place 1 cup of chunks in a blender and put it on "chop" setting for 30 seconds. 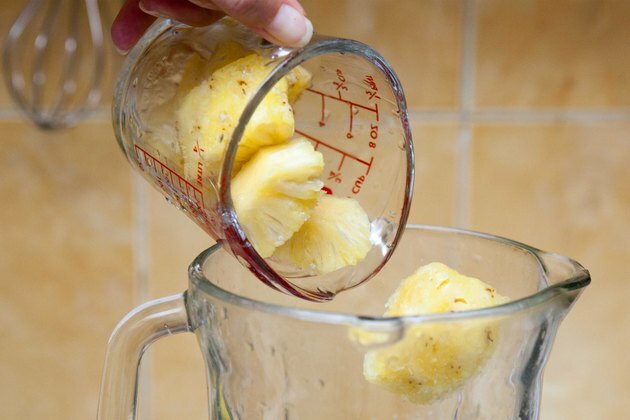 Pour out the crushed pineapple into a separate bowl. 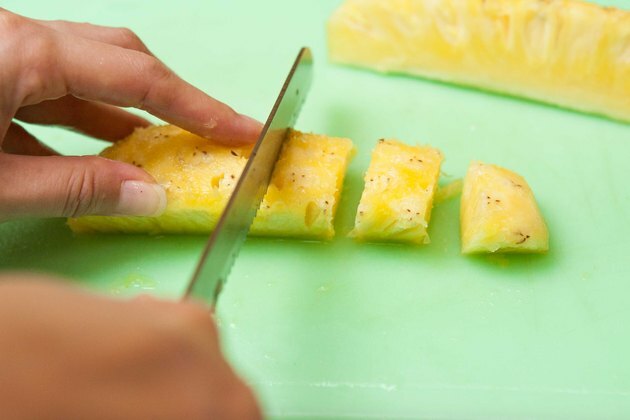 Repeat this step until all of the pineapple is chopped. Fresh pineapple may be stored in an airtight container in the refrigerator for up to three days. 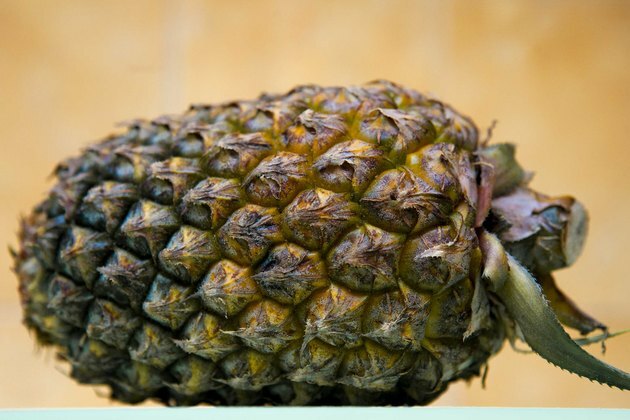 Freezing fresh pineapple will not denature its enzymes. 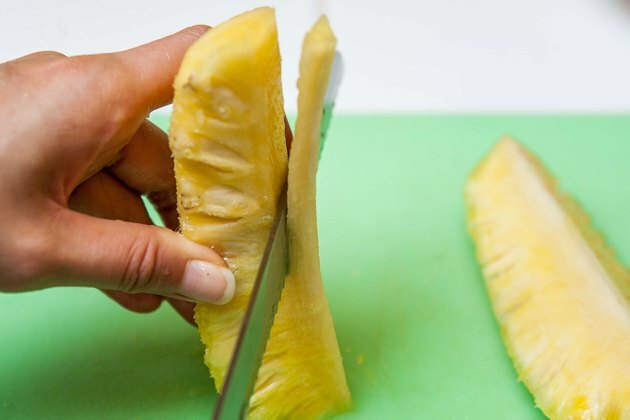 If you freeze crushed pineapple for later use, it will still have the ability to break down gelatin proteins.